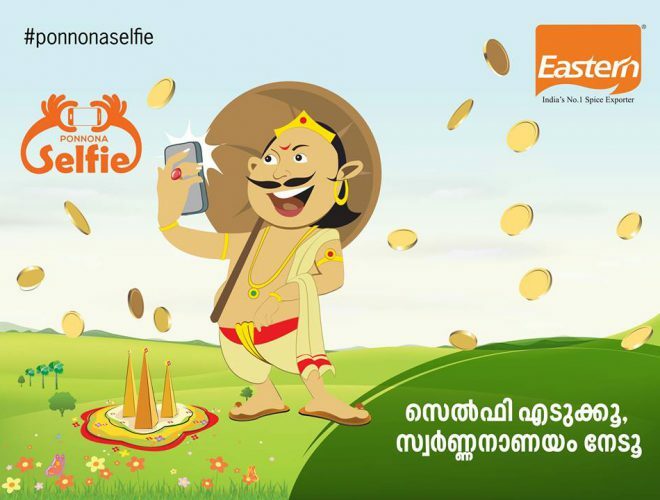 Share your own Onam selfie with us and win a gold coin !! The contest will go live on September 08,2016 and will end at 6:00pm on September 15th, 2016 . To participate in the contest one must follow official twitter handle/ Instagram/Facebook account. The contestants have to use the hashtag #Ponnonaselfie and tag Eastern. A lucky winnerwill get a 1 gm gold coin from Eastern. Winners will be required to send in their contact details to[email protected] or to the social media accounts of eastern. The Prize shall not be transferable / redeemable. No request shall be entertained in this behalf.